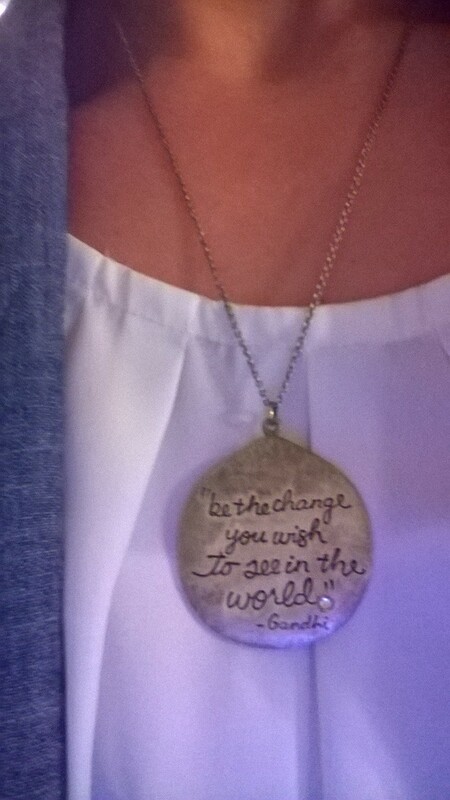 A gift from my dear friend Brittany who remembered 4 years later, my favorite quote. 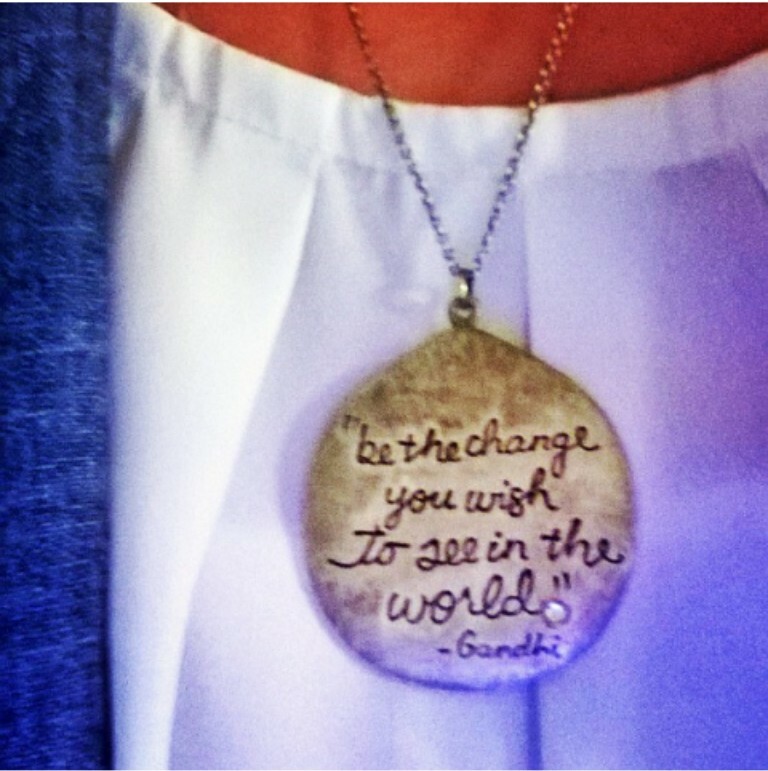 As stated in one of my prior posts, we have so much influence to change the world in property management. We have residents. We have vendors. We have an entire management company with thousands of units with thousands of residents that could potentially get behind any initiative that we start on our property. We have the power to influence on a small scale, or a broader scale. I have always been a follower of Random Acts of Kindness and there are several initiatives that have been started in the same realm. And it dawned on me while wanting to market my lease up, build a reputation/brand and also make a difference that I could utilize RAK in all of those efforts. We are incredibly lucky to have a very talented graphic designer at our corporate office who will literally design anything for our property. 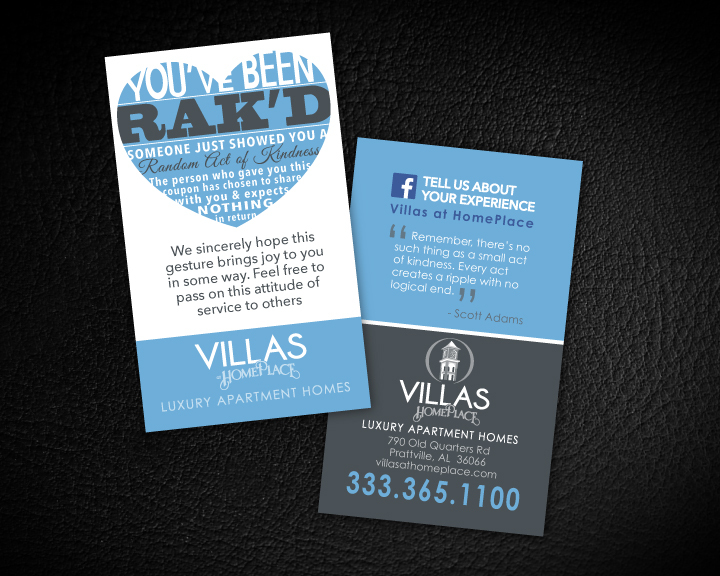 I had made a very feeble effort in the beginning to design our RAK cards….then sent them to her and was undoubtedly blown out of the water. Here is the finished product…. But we implemented this in order to cover all bases. To market our community, to build a reputation and to also make a difference. Yes, we are marketing our community, which is some form of gratification, but we are marketing ourselves as kind and compassionate. To let people know that customer service does matter here. We are going to go above and beyond to the best of our abilities for you. It’s two fold. If you remember in my post about the River Region Apartment Association (YOU WANT ME TO DO WHAT?!?!) I had mentioned in my long diatribe about wanting to change the world, even if it was only the River Region. Well I have since had a small opportunity to do that whole world changing I keep speaking of. Brandy allowed me to have some input with the charity of choice this year and I knew exactly what I wanted it to be. 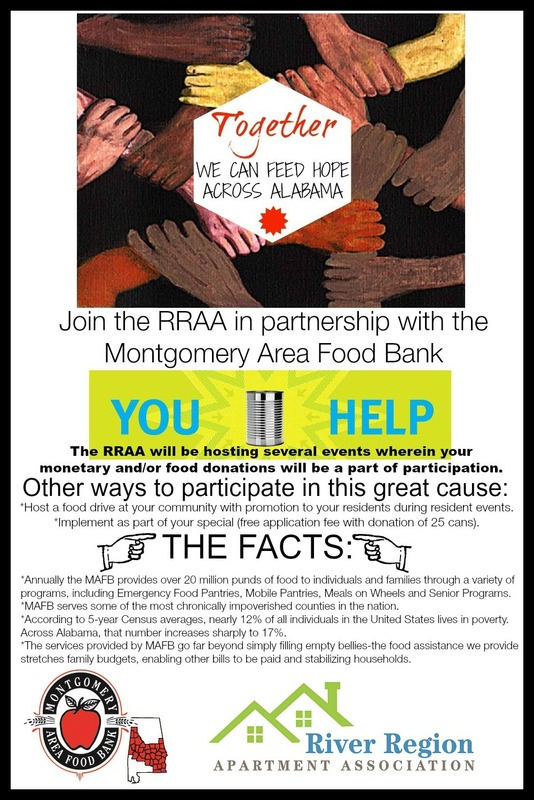 The Montgomery Area Food Bank. I have and always will be a huge huge huge follower of any food bank in any area that I ever live in. That’s important to me. Like sad dog commercials touch some people, thinking of someone going to bed hungry, going to school hungry or just being in their home all day alone hungry, pains me. I want to be a part of changing that. I also want to get anyone else on board to change that as well. The food bank was voted on in our December BOD meeting and passed. Now we are working on implementing it into all of our events, on all of the River Region communities and in any other way possible.